Our capabilities, and the resources to support them, are determined by our ethos of a solutions-focused, knowledge-based approach to most efficiently and effectively meet customer requirements, whether for individual gears or full gearbox assemblies. We work in a business where precision, reliability and superior quality products are mandatory for our customers, and we have the expertise in personnel, investment in machinery and quality standard systems that help guarantee our PDQ is unparalleled. We perform most of our engineering and manufacturing processes in-house which serves to help control lead times and improve quality control. Our heat treatment capability, for example, means we are uniquely positioned to produce carburized/hardened ground gears, while our team’s experience in their respective fields, and consequent expertise, ensures we have the capability to develop a product from concept to development and full production in a rapid response scenario without compromising on quality. 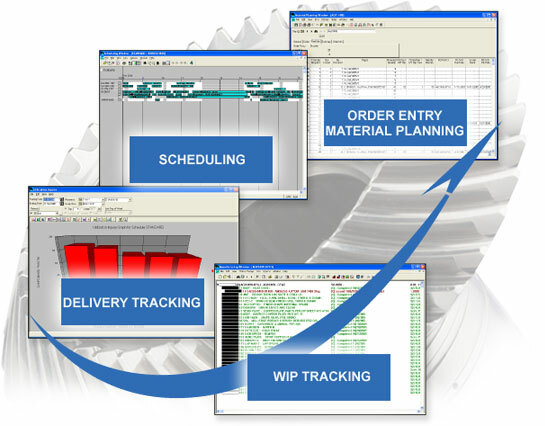 Aero Gear practices Lean Manufacturing and Continuous Improvement to further optimize efficiency throughout the design and manufacturing processes. We are recognized as a highly responsive, high tech, lean leader. Our Continuous Improvement culture is based on open and direct communication in an environment of mutual trust and respect. Our organization was an early adopter of lean principles, using Shingijutsu concepts and consultation. We have organized our entire factory to optimize flow and continue to routinely hold Kaizen workshops to improve our flow and competitiveness. Our flow concept is based on providing the best quality, shortest lead time and reasonable cost through shortening the production flow by eliminating waste. We pride ourselves on making data-driven decisions and rigorously applying the Plan-Do-Check-Act philosophy.